Our Farm Cat Adoption Program began as a trial program in 2014. The Farm Cat Adoption Program is intended to provide placement for cats with behavioral/ litter box issues or temperaments which make them better suited for an outdoor lifestyle. The purpose of this program is to find appropriate outdoor homes for these cats in a farm setting. They need to live in a structure that is free standing. Keeping these cats safe from the elements, providing a better quality of life, is the goal of this program. Prior to adoption these cats are given medical care and spayed or neutered. As an adopter of a farm cat(s), you are responsible for providing food, water, protection from the elements and predators, as well as veterinary care. Working farm cats are important for the protection of livestock and their feed as well as machinery. These working cats will remove rodents, insects and other vermin to enhance the health of the farm environment. Farm cats range from those with behavior/litter box issues to those that are unaccustomed to regular human contact, keeping their distance. Some only want to work. That makes them unsuitable for an indoor home. Over time, the cats may become more receptive to human contact, becoming more social with people as well as other animals on the farm. 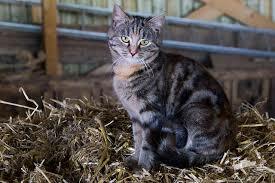 ​The long term benefit to adopting farm cats creates a healthier population of cats on a farm. If all cats on the farm are spayed and neutered there will be no unwanted litters of kittens. Stray cats, are unlikely to stay with no opportunity of reproduction. Farm cats are available for adoption at a reduced adoption fee of $35.00 per cat. 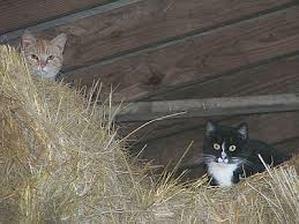 We recommend adopting farm cats in pairs to help with their acclimation to the farm. If interested in adopting a farm cat please contact Heartland Pet Connection at 402-462-7387 or 1807 West J Street Hastings. We will have forms available. Or click the Farm Cat Adoption Program Form link below to download the form and e-mail it to heartlandpetconnection@gmail.com. All veterinary care, as stated above, will be completed prior to adoption. Thank you for your interest in our Farm Cat Adoption Program. Upon receipt of your form you will be contacted. The adoption process begins with adoption counseling. At the request of our veterinarians we must provide owners information for the rabies certificate. Once completed we ask that the cat(s) are picked up in a timely manner.